Earlier this year I began organizing a non-profit mentoring group which reaches out to urban youth in the Rochester community. We shuttle them to colleges and universities to discuss high school graduation, college enrollment and various other topics. While recruiting for an event on the phone, a parent asked me about transportation. We provide public bus passes, I said. “No,” she responded.” I don’t want my child shot dead by any cop,” and she hung up. I remember sitting by my office phone for what felt like an eternity, trying to grasp the magnitude of what I had just heard. To put it stupidly, I was shocked. I had never heard anyone speak with such transparency on such a grave matter. In an ugly moment I began to blame her. Why distrust a system designed to protect her? Doesn’t she get it? In my experience, police had always protected and served me! It made sense that the system would work for everyone else too. But as the cold unsettling silence of the dial tone began to choke me, I realized that my limited, pampered perspective did not grant me a right to judge a fear I did not understand. I grew up in a predominantly white neighborhood. Coastal California. Where nearly everyone graduates on time from suburban high schools, and the kids are not shot by cops or dealers, and the one girl who did disappear (over twenty years ago) has a large wooden reward sign still posted, reminding the town of its rarity of misfortune. We don’t fear the police. The only time you fear the police is when do something wrong: you are a criminal, you are on the highway speeding, you are drinking underage (or are indulging in some rebellious combination of the three). I inherently trust the police. I was taught to. I now have a cousin who is a cop and he is a wonderful human being; once, I was even let off of a speeding ticket just for knowing him. So there I am hovering over the phone in my delirious state. I think of the kids I have met and have worked with: smart, wonderful teenagers trapped in an environment that undervalues them. I realize for the first time in my life—a year removed from moving to Rochester, and after months of mentoring urban youth—that their fear was horribly real. A pervasive fear, unending. I think of all the statistics I’ve heard about and have seen, and I realize racism isn’t just an idea or an inconvenience, but that it is actively working against them, inhibiting their lives. 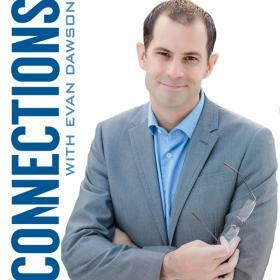 Today, I was asked to join “Connections with Evan Dawson” on Rochester’s WXXI. The panel consisted of Eric Grode, NY Times writer and Newhouse School adjunct professor, and Andrea Levendusky, a local freelance writer and soon to be published author. We bulldozed through many topics (e.g., how to improve as a writer, the arguments for and against teaching cursive, what are our favorite “eggcorns“), we answered phone calls, and even shared a few laughs. Before I knew it the hour was gone. Over. Boom. Just like that. And there I was, pouting, like a child given chocolate for the first time: YOU CAN’T JUST TAKE THIS AWAY. Anywho, I had an amazing time. Thanks to Evan Dawson for the incredible opportunity. Now… who wants to start a podcast with me? Anyone? Hello? Thursday night’s local music and live theatre double header at Writers & Books was among my favorite evenings at the First Niagara Rochester Fringe Festival. Local folk-indie-awesome band, The Lonely Ones, performed a diverse and wonderful set of original compositions, followed by the excellent, MUST SEE University of Rochester TOOP production of Oscar Wilde’s masterpiece, “The Importance of Being Earnest” which, literally, brought the lattice down. 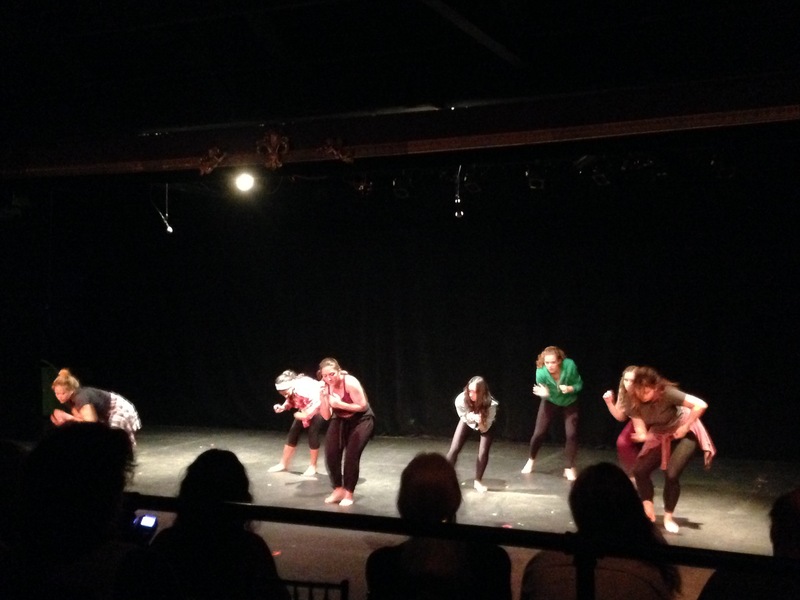 To be clear, I will pledge my support to student productions until the day my proverbial curtains close. That said, they are usually a mixed bag of quality, plagued with director inexperience, bland overstatement, and poor (pick of the crop) acting. I’m happy to announce that University of Rochester TOOP’s (The Opposite of People) production of “The Importance of Being Earnest” rivals some of the best theatre I’ve seen at the Fringe this year. Ian Van Fange, only a sophomore at UR, directs Oscar Wilde’s extravagantly clever script into a tight, well performed play that had the nearly sold-out audience invested from start to finish, crying with laughter. When I spoke with Van Fange, congratulating him on the wonderful production, he gave all the credit to his actors. And I can see why. His cast was certainly amazing. 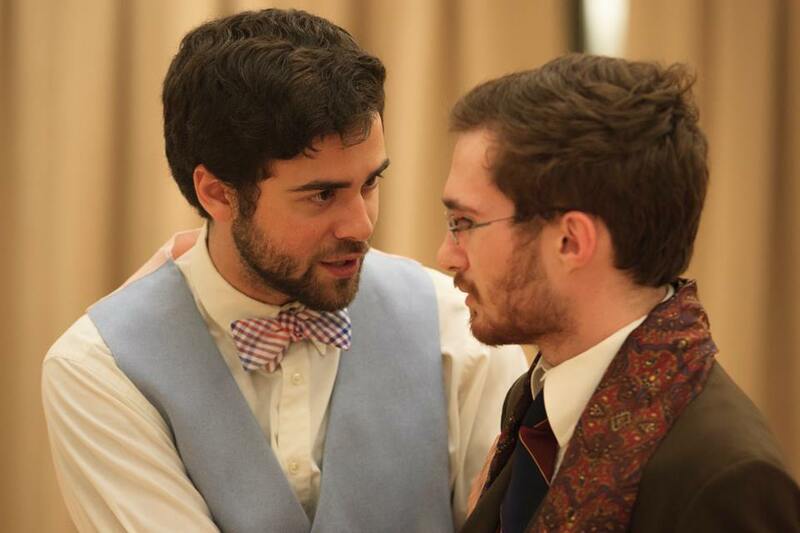 Daniel Mensel (as Algernon Moncrieff) and Michael Tamburrino (as John Worthing, J.P.) are impeccable together, eliciting a contagious chemistry that never quits. 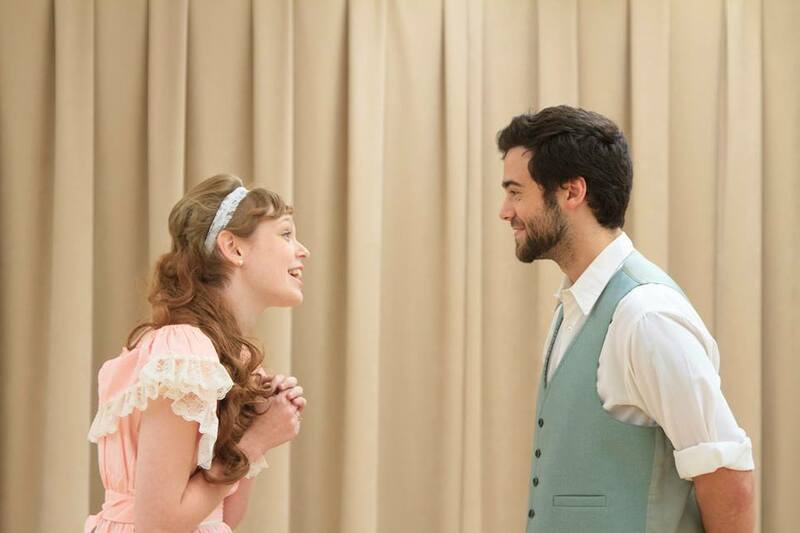 These two young actors jump into Wilde’s shoes brilliantly. Were they born to play these roles? Maybe. All we know is what we can assume: Mensel and Tamburrino were born to play many more roles after this. The First Niagara Rochester Fringe Festival continues its Tricycle tromping path throughout the city of Rochester. I’ve come to terms: as a Fringe audience member, I’m never quite sure what I’m going to see. This weekend my limits were stretched. I was witness to SNL stand up, a laptop orchestra, an hour long, prop-free, one-man show and more. 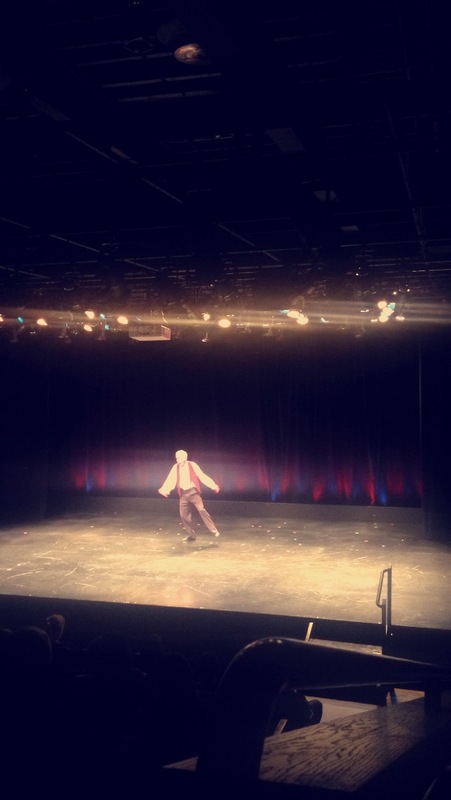 A Little Business at the Big Top is a one man show, currently playing at the Geva Theatre and features accomplished performance actor David Gaines. 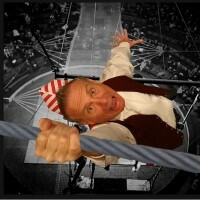 He is a Fringe veteran who travels the world performing solo shows. Sans stage props, David Gaines prompts imagination. The man is pure electricity, the mime child of Steve Martin and Charlie Chaplin. While at first, for me, the lack of dialogue and set design was a hard pill to swallow, but a few minutes into the show my brain filled in the details (like the food fight scene on Hook! ), and all of a sudden the scene flooded in. I saw the circus tent, the animals, the tight rope. My imagination hasn’t seen this much action in ages. Thanks, David. It was truly magical! On the total opposite end of the technology performance spectrum was the Rochester Laptop Orchestra, hosted by Eastman and University of Rochester students. What is a laptop orchestra exactly? I’m still trying to figure that out. To the show’s detriment, composition explanations were riddled with enigmatic jargon that left me scratching my head. All this to say, I still had a really great time (even if I wasn’t always aware of what was going on). The hosts incorporated ballerina dancing, drum circles, facial mapping, and more. Here’s a video of the orchestra creating music through genetic mapping. What were they mapping? A disease. Pretty cool stuff.